This book shows you how to create a self-contained disaster preparedness kit to help you survive your journey from ground zero to a safer location. Survival expert Creek Stewart details from start to finish everything you need to gather for 72 hours of independent survival--water, food, protection, shelter, survival tools, and so much more. 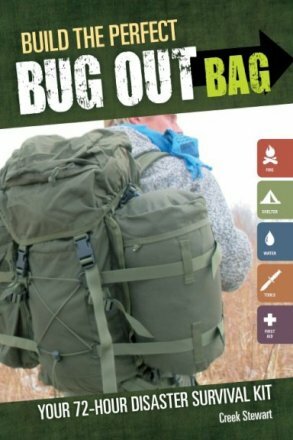 You'll find: A complete Bug Out Bag checklist that tells you exactly what to pack based on your survival skill level, Photos and explanations of every item you need in your bag, Resource lists to help you find and purchase gear, Practice exercises that teach you how to use almost everything in your bag, Demonstrations for multi-use items that save pack space and weight, and Specific gear recommendations for common disasters. The book even includes special considerations for bugging out with children, the elderly, the physically disabled, and even pets. A disaster could strike your home at any moment. Are you prepared to face the devastating aftermath? Protect yourself and your family by building a Bug Out Bag today!